Planet earth is blessed with so many areas of completely untouched natural beauty; it is difficult to know where to begin. Here at Odyssey Travels, we are suckers for an amazing view as we are for incredible accommodation so have scouted out some of the most mesmerizing areas of natural beauty on the planet. From the beautiful fertile rolling hills of Rwanda, to the sleepy and dreamlike canals of Hanoi and on to the wild and dramatic Patagonia – there is an overwhelming amount of possibilities out there when seeking wilderness and beauty. Whether you want a picture of endless plains, dramatic declines, sunsets to melt hearts or just simply a peaceful lake glistening in the sun; we can guide you on the road to your dream natural surroundings. The 7 natural wonders of the world are a good place to start if you are looking for inspiration on your next adventure in the wilderness… but with so many other options, they only really scratch the surface of what this world has to offer in terms of picture perfect canvases of unobstructed natural beauty. It is not just the huge amount of wildlife which makes Africa one of the most beautiful destinations on the planet, although this does somewhat add to the picture of unspoiled natural phenomena which Africa is so heralded for. One of the natural wonders of the world can be found here on the border of Zimbabwe and Zambia in the miraculous Victoria Falls - only one tiny speck of natural beauty which Africa has to offer. The African scenes of acacia punctured sweeping plains which go as far as the eye can see are to be found in the Serengeti National Park in Tanzania and the Okavango Delta takes beauty to the extreme with its watery and dreamy channels which attract a huge amount of wildlife to its shores. 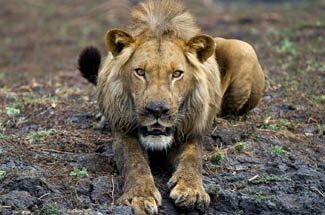 Africa is absolutely stunning it is no lie, but what makes it so special is that everything about its wilderness screams untouched nature… there is no place quite like it for experiencing the beauty of the natural world. Asia is an absolutely stunning part of the world; and a huge and diverse one at that. There are so many beautiful scenes to be enjoyed from the mountainous peaks of Bhutan, through the mish-mash of colourful India and all the way down to the tranquil and dreamy islands off the coast of Malaysia – there is so much beauty in every diverse corner of this huge and fascinating continent. 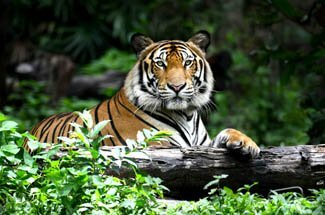 From enjoying a tiger safari in the bushy yet open Bandhavgarh, exploring the swirling hills of Ubud to trekking the terrain of the fairy-tale valley of Sa Pa – whatever your activity, rest assured you will be doing it in some of the most picturesque scenes of natural beauty in the world. South America has some of the most wild and dramatic scenery in the world. 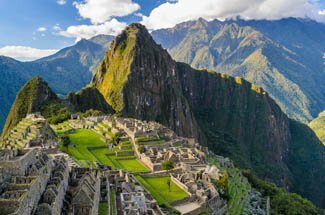 The diversity of South America with the bushy beaches in the north down to the towering Andes and onwards to the glaciers of the south – whatever your preferred scenery, be sure that South America has some truly unparalleled sights of natural beauty in the world. Enjoy a trek in the middle of one of the purest wilderness still on earth in Patagonia, head up to the starry-skyed Atacama Desert, wind your way through the green Peruvian Amazon, marvel at the magnificent Iguazu Falls or simply relax with amazing views, a beach and a drink in hand in the simply beautiful Osa Peninsula. One thing is for sure; if you are a lover of uninterrupted views and dramatic landscapes, then South America is your place.